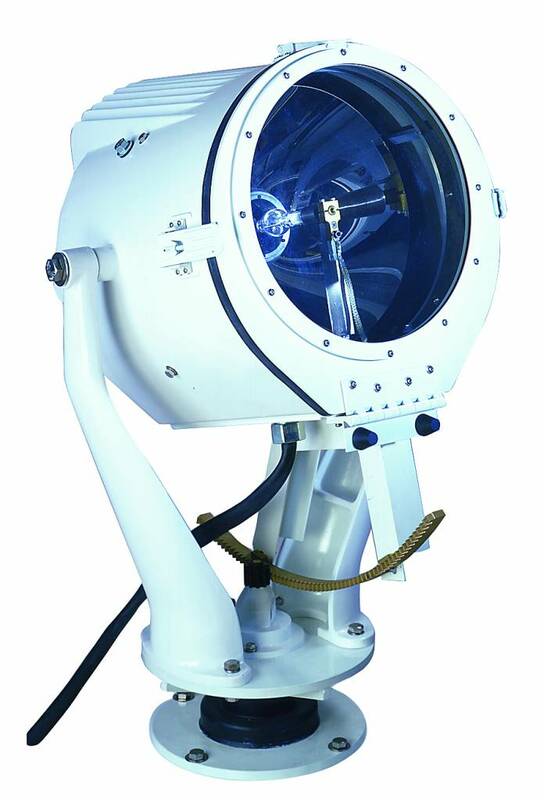 Product Description: The short arc Xenon filled lamps produce an extremely bright and very white light which can be focused in the pilothouse into a narrow long range beam. 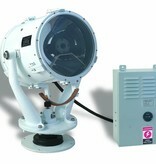 The heavy duty head is a marine grade aluminum casting with integral cooling fins to assure cool operation at high output levels. 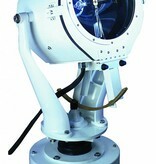 High quality Timken bearings provide for smooth 380° rotation. 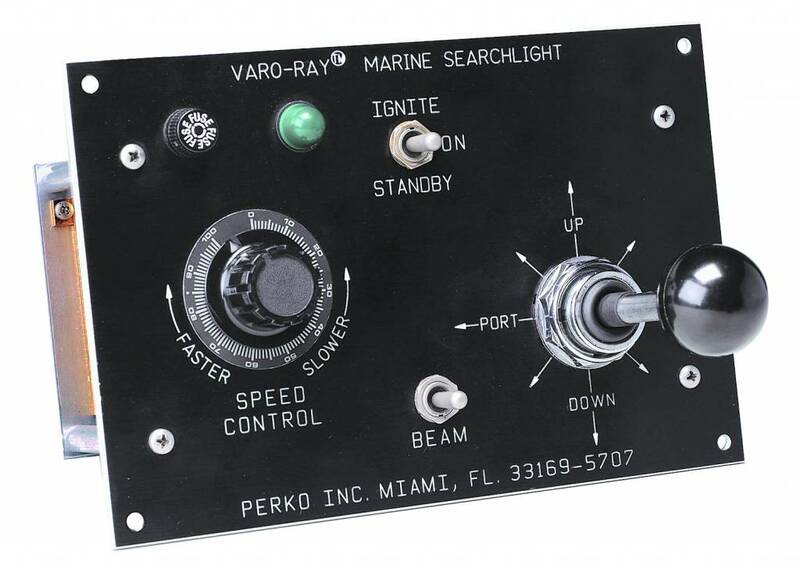 The Searchlight is available manually controlled with a traditional lever gear control system or remotely controlled with a distant electric control system. 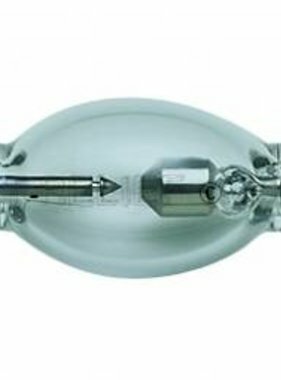 In addition, an optional heating capability is available to assure trouble free operation in areas of the world prone to icing conditions. 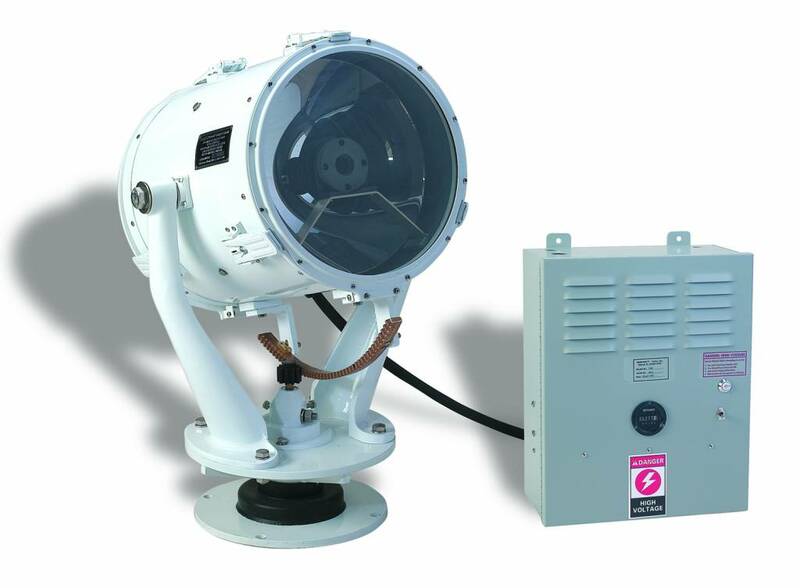 The Searchlight can be operated continuously at up to 1.600 watts for maximum brightness providing in excess of 100,000,000 candlepower and up to 10km range. 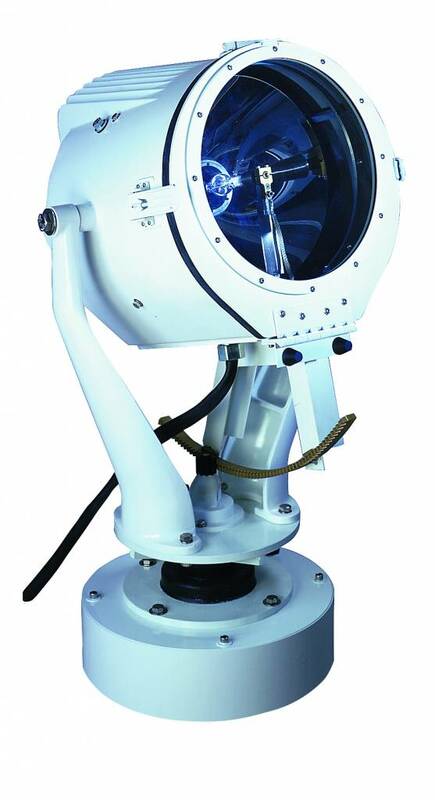 An iridium coated precision reflector provides for maximum light output and sharp focus. 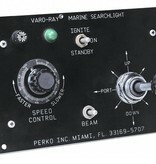 The remote control panel controls lamp ignition (start-up) and focus from the pilot house. 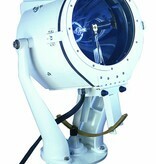 The 19" Xenon Searchlight includes a single Xenon lamp.